It was a pleasure to work with Cyberhomes on this award-winning project. 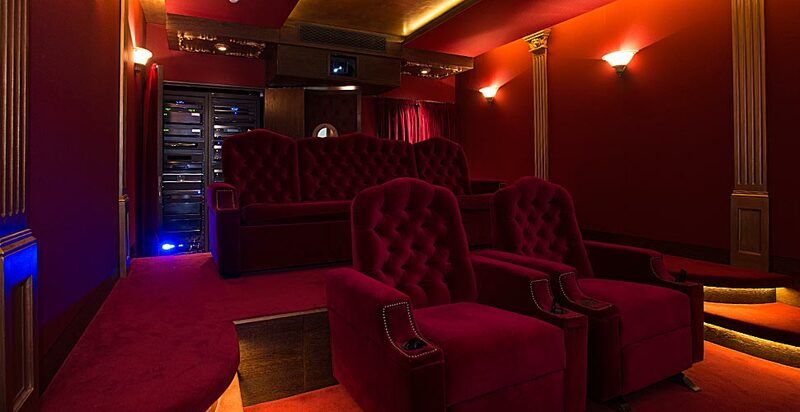 The client was after a vintage themed home cinema, but wanted to keep a luxurious feel to the room. 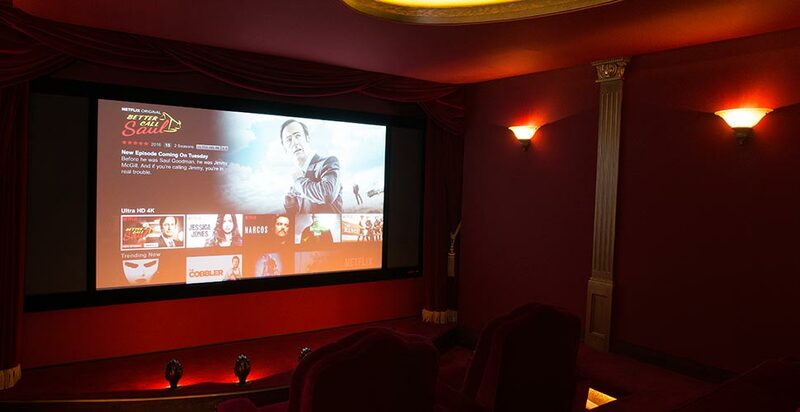 Cyberhomes approached us and asked us to fit a red acoustically transparent fabric to all wall and ceiling areas. We fitted our 9mm tracking system to the studwork on the walls to create panels in-between the golden pillars. 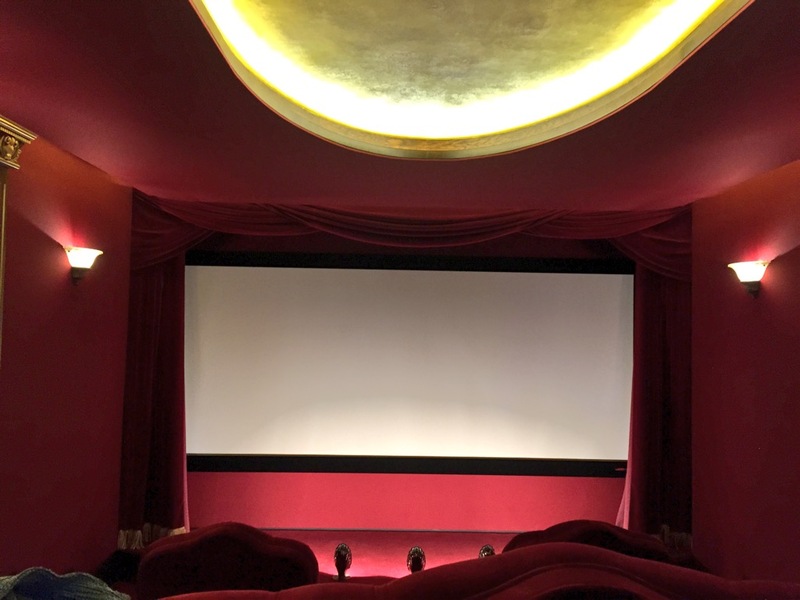 Our lining fabric was applied over the acoustic treatment and cut around the in-wall speakers. The fabric was fitted, concealing the speakers. 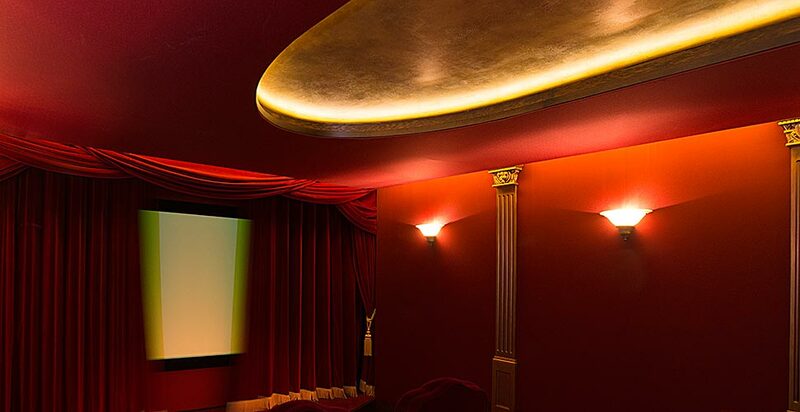 The ceiling was designed with a curved golden in-lay. This detail shows the versatility of our tracking system, which allows us to fit fabric around any architectural detail and follow any design. 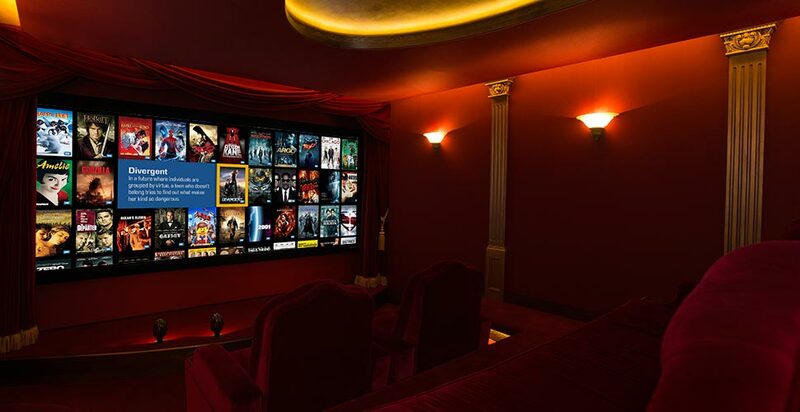 This project won the 2016 CEDIA award for ‘Best Home Cinema over £100,000’. 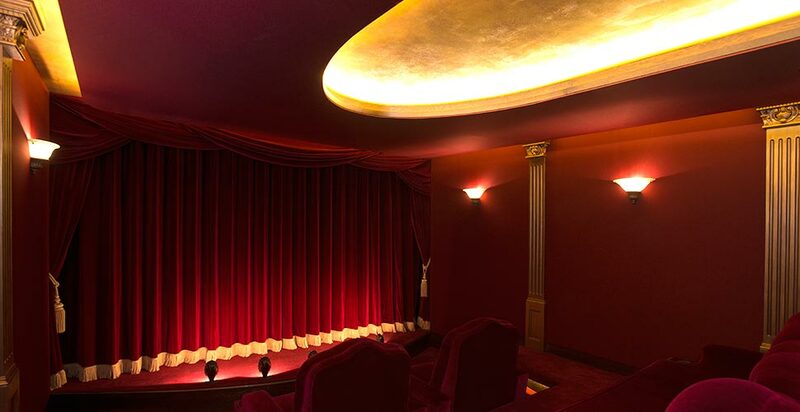 It was also named ‘Dream Theatre Of The Year’ in Home Cinema Choice magazine’s 2016 end of year review.